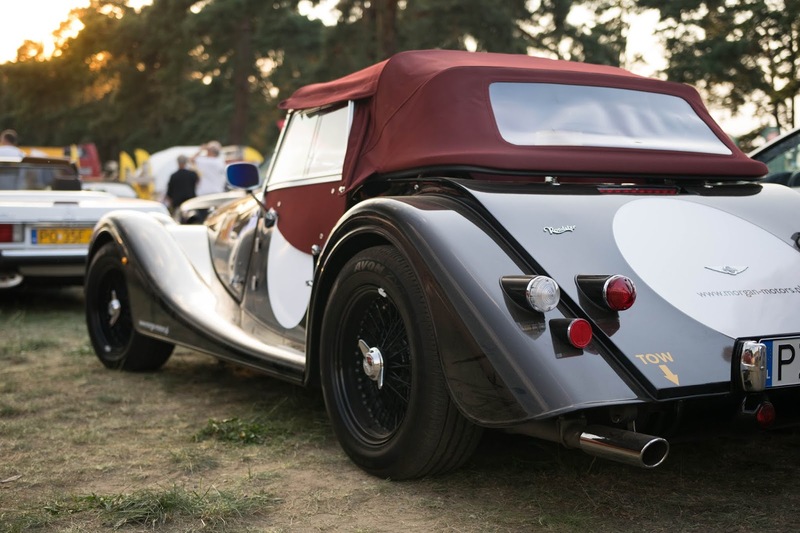 Morgan Motor Company is British, family-owned manufacturer hand building cars since 1909. One thing you should know about it is the body shells of their cars are (still) based on a wooden frame! 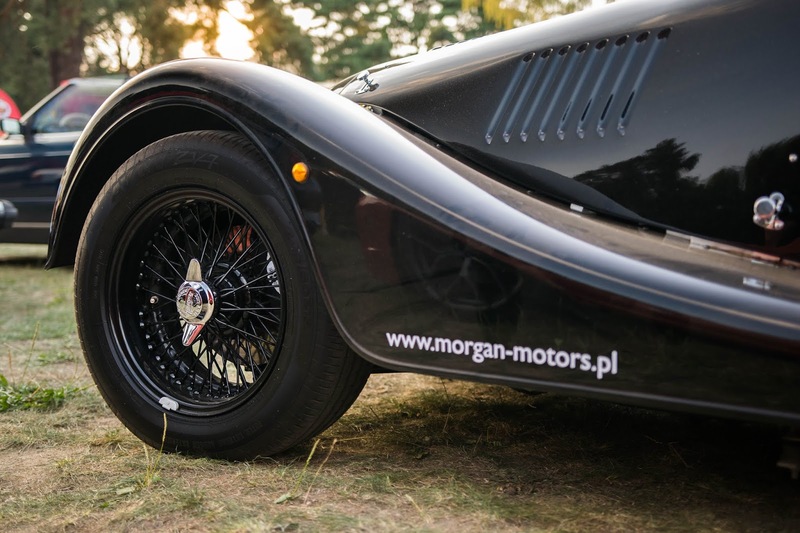 According to Morgan, the total annual production amounts only 850 vehicles per year. 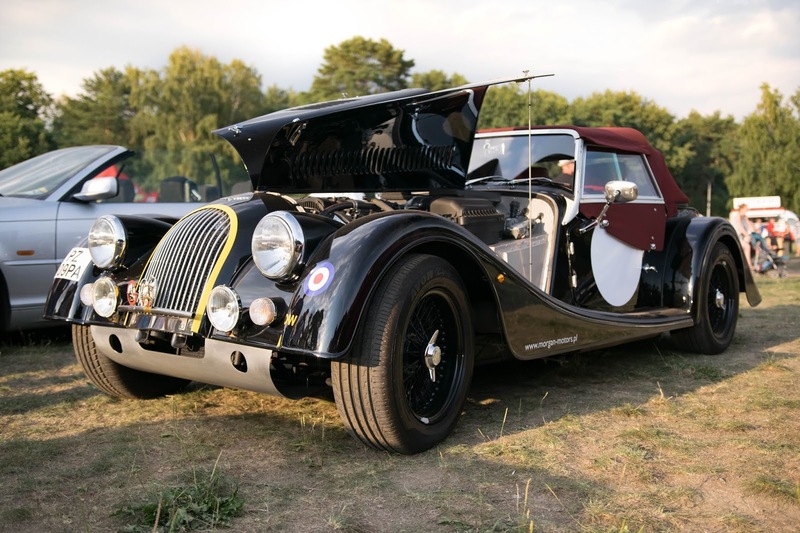 This Morgan Roadster is the most powerful production car from the "Classic" range (other ranges include 3 Wheeler and Aero - a few final examples of Aero GT to be precise). 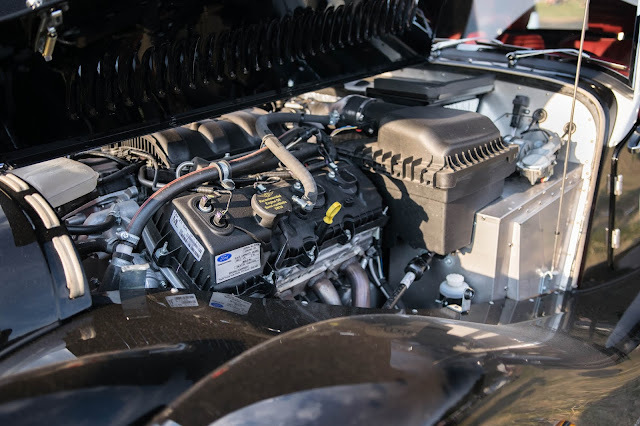 It features Ford 3,7 litre V6 with 6-speed manual transmission. 280 PS with the overall weight being only 950 kg let it make 0-100 km/h (at worst) in 5,5 seconds. As I was told, the pricy air condition in this model is a must, since only a thin layer of metal separates legs from the hot engine bay. Falling in love in it starts at PLN 326 k. Just look at those beautiful wheels and spinners!